42% of homes across the country were on the market for less than a month, which is the highest it's been since July 2015 (43%)! 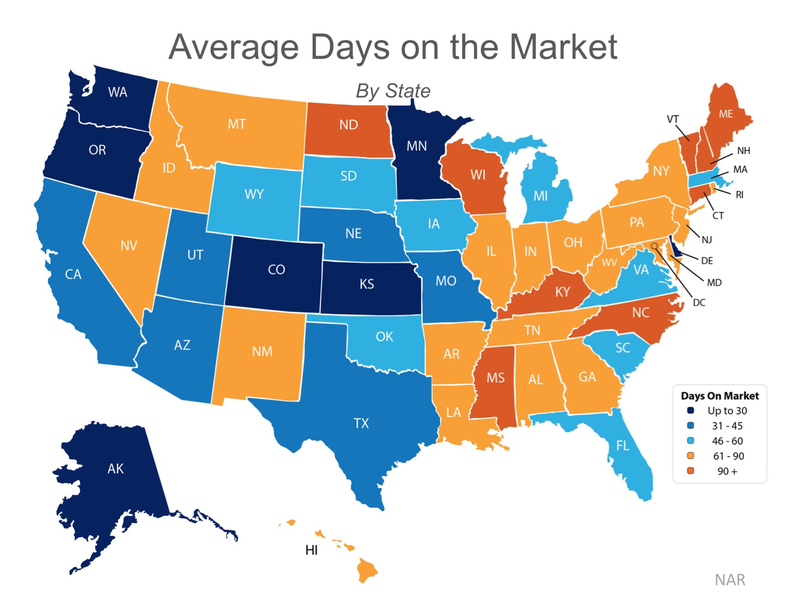 Among the states with homes selling in 30 days or less are Washington, Oregon, and Minnesota. The map below was created using results from NAR's Monthly Realtor Confidence Survey.